The multi-faceted French flutist Sylvaine Hélary takes the fascinating New Music of her quartet Spring Roll to the North-Eastern edge of Europe from April 13th to 30th. The road map put together by Vapaat äänet -agency includes five double bill concerts across Finland with the young lions of Maxxxtet, three in Estonia as part of Jazzkaar festival, three in Latvia and one Polish stop at the Katowice Jazz Art Festival. The journey ends in Budapest at the Opus Jazz Club. 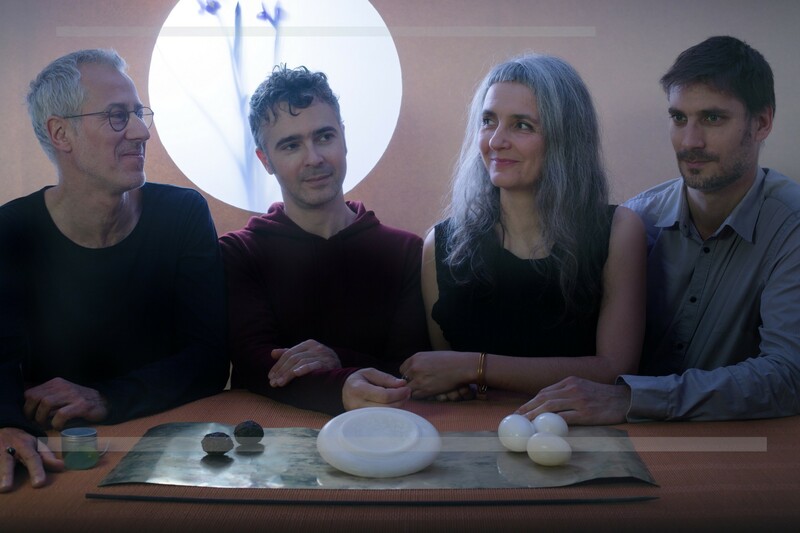 By creating Spring Roll in 2014, Sylvaine Hélary, wanted to explore a way of composing that drew its inspiration as much from her contemporary music education, her encounters with musicians from New-York (Tim Berne, Kris Davis, Tony Malaby, Ralph Alessi) and her wild years playing pop music of a barely classifiable kind (Martine à la plage, Fantazio). The flutist and her band explore chamber music with a quite unique sound. Playing on timbres and resonances, Spring Roll echoes this stream of the new music while borrowing the codes and contexts of jazz. With Hugues Mayot on tenor saxophone and clarinet, Antonin Rayon on piano and analog synthesizer, and Bruno Chevillon on double bass, new comer in the band, the partition takes us between the most stripped-down minimalism and an orchestral maelstrom. In 2016, Sylvaine Hélary developed a new repertoire by commissioning three musicians from New York: Kris Davis, Matt Mitchell and Dan Blake. Bringing together different creative approaches, this gave birth to the program “Big Apple’s Flavor”, first performed in an US tour in October 2016 and presented in France in 2017, including a concert at Sons d’Hiver festival with percussionist Sylvain Lemêtre being included in the line-up and Kris Davis as a guest musician. Episodes the new album of Spring Roll is released on Clean Feed in March 2019, as an introduction to a spring tour across Northern-East Europe booked by Vapaat äänet – Charles Gil in Finland, the Baltic Countries and Poland. Spring Roll hits the road with a new line-up and presents also new compositions alongside the music from Episodes.